After the Freshman Assembly, you must create a brief reflective work and attend a discussion session about your readings. You must complete the paper/project and discussion in order to remain in good standing in the Honors Program. In 600-800 words, discuss a time in your life when you thought "well," i.e., in line with the argument made in Dr. Jacob's book. Who helped you? Next, discuss a time when you did not think well. Who around you contributed to that way of thinking? 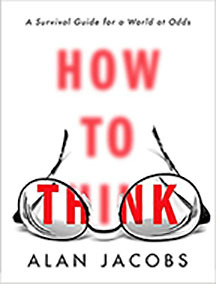 Refer to at least three examples of thinking well and three examples of thinking pitfalls from the book, How to Think, as you describe your personal experiences. You will be evaluated on adherence to the writing prompt, spelling, grammar and overall effectiveness of written communication. Using 11x17 white cardstock, which may be picked up from the Honors Suite in 203 Morrison Hall, create a colorful, illustrated "road map to thinking well" based on the book, How to Think. Include and identify thinking roadblocks and detours and other important landmarks along the way. Use as many points as you wish from the book about thinking well and thinking pitfalls. Clearly label each part of the map. Along with your map, turn in a 1-2 page legend that explains the points on your map. You will be evaluated on neatness, level of detail, overall visual appeal in executing your map, and on the well-written separate legend.